Jonathan Ratner tests water. He visits streams in Wyoming, takes samples and tests it for E. coli. He’s been testing streams for years, concerned that waste from Wyoming’s 1.3 million cattle is polluting streams. And it is. Ratner sends his results to the Wyoming Department of Environmental Quality so that streams with too much E. coli can be put on the impaired waters list. That list goes to the Environmental Protection Agency, and, under the Clean Water Act, state and federal regulators should then take action to reduce the level of pollution. Ratner says that means keeping cattle from grazing too close to streams. 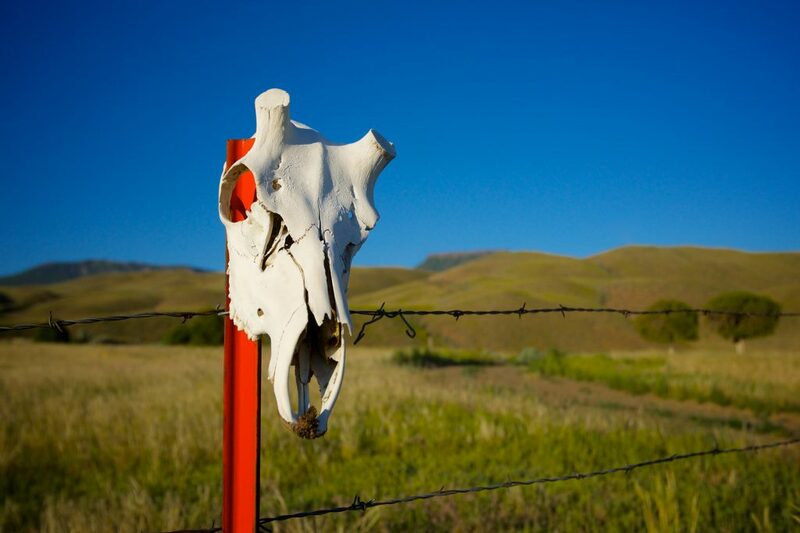 But this is Wyoming, “the cowboy state,” and ranchers don’t take kindly to being told where their cattle can roam. So last week, Governor Matt Mead signed Senate file 12, a bill that makes it a felony to trespass to unlawfully collect data, and prohibits any data collected “unlawfully” from being used in a civil, criminal or administrative proceeding. Ratner has been collecting his samples on public property, he isn’t sneaking onto private ranches in the dark of night. But the bill would still make what he does a felony. To understand that, you need to understand this about Wyoming: it’s big, there aren’t a lot of people, and while most land in the state is public, the roads everyone drives on often cut through private property. Ratner says it’s not uncommon for the Bureau of Land Management to build a road on private property and not bother to get an easement from the owner. They’re mostly just dirt roads anyway. Because of this quirk of Wyoming roadways, which force people to drive on private land (and therefore, to trespass), the law “makes millions of acres of BLM land off limits to me,” Ratner says. The sense around the state is that the law is specifically targeted at Ratner and his organization, Western Watersheds, but it could apply to whistleblowers in various industries. Paige Tomaselli, a senior attorney at the Center for Food Safety told Wyoming News “Our reading of the law is it is broad enough that it could apply to any facility, including animal processing facilities or factories. It might not specifically say it deals with animal facilities, as a law in Idaho does, but we think it would still apply.” An amendment that would have specifically exempted data having to do with “the health, treatment or welfare of a domesticated animal” was defeated on a voice vote, according the Wyoming News.